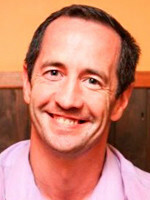 Alan Moore, a specialist in sports governance and nutrition, is based in Moscow and consults in and reports on sports. He has been involved in professional sports, including playing soccer and boxing, for over 25 years. Sports are a total mess, largely controlled by self-serving, power-crazed folks without love or regard for the disciplines they rule. Fancy Bears' latest hack proves the more that is known, the less the McLaren Report's grip on facts and reality were. In my experience of sports, amateur and professional, there are two levels of buffoonery. At the lowest level of organization exist the small-minded, small-town kleptocrats who rule absolutely. They accept their limitations and thrive on the thrill of being the ones you need to make deals with in order to climb to the top. They are dangerous, impossible to remove, yet the lifeblood of sporting organizations. Atop the greasy pole of sports politics cling the ‘blazers,’ the men and women who made it their life’s work to ‘give back’ to their sport. Some of them, like Seb Coe, were elite athletes before turning to the administrative side. Others, like Vitaly Mutko, began in regular careers before crossing over into politics proper and using sport as a springboard to higher offices. Both are of a similar character and they need to be because there are no dirtier politics than those in sports. To survive at the very bottom or very top, a strong sociopathic character is required. And therein lies the problem. To reach the top you need to give and get favors and leave your morals at the door. It has been clear that since Russia, along with Qatar, upset the 1-2 England-USA FIFA World Cup host awards, sulphur has been in the air. The vitriol directed towards Moscow and Doha perversely lessened as Qatari money flowed into PR, media, and sports organizations. Lessened towards Doha, that is, where the former British Protectorate has used revenue from oil and gas to buy the best of everything. In a country where just 16 percent of the population is Qatari, the Al Thani family have used sports (among other ‘investments’) as a battering ram into respectability. From buying French, Spanish, Montenegrin, Bosnian, Serbian, Croatian, Cuban, and other nationalities to play for their handball team and win silver at the world championships, Qatar continues to build for the 2022 FIFA Football World Cup by hoovering up young players from South America, Europe, and Africa. Taking them early to train at the Aspire Academy or play in the Qatari League, the Al Thanis get around FIFA’s rules on nationality legally, if not morally. The sorry mess of a World Cup in an absolute monarchy ruled largely by Sharia Law is overlooked. This blind spot extends from PR companies to media and sports organizations, all the way to the top of the Sports Greasy Pole. In August 2015, the World Anti-Doping Agency (WADA) lauded the accreditation of the Qatar Anti-Doping lab just as FIFA were being increasingly questioned over the move to a Winter World Cup in 2022. Instead, the ire of the sports media was directed at doping issues in Russia after failed opportunities at top level globally to eliminate the issue in 2013. Instead, problems were actively ignored, and only after media revelations did WADA move to investigate them. The Independent Commission Report #1 – Final Report threw enough mud for some to stick, and just two months after Qatar’s anti-doping lab was accredited, Moscow’s accreditation was revoked. Out went Doctor Death Grigory Rodchenkov, who continued his collaboration with Bryan Fogel to profit mightily from human experimentation, misery, criminality, and death. Doctor Death and his partner Fogel hit the jackpot with Netflix, which picked up their underwhelming fantasy documentary film for $5 million. While Russia remained the global whipping boy, I questioned the double standards being shown by those astride the greasy pole. Just days before this article, Doha’s anti-doping lab was suspended and WADA were quickly helping spin it as a simple “procedural issue” . At the same time the ‘hot mic’ incident in Glasgow showed WADA’s blazers playing a dangerous game to stay in their well-paid jobs. Craig Reedie and his minions in WADA had done everything to hold onto power in WADA, beating American Travis Tygart’s rapacious bid for control of the millions earned to ‘fight doping’ with the McLaren Report II. However, the root of the inconsistencies from Part I caused Part II to be equally as vague. And from this unwavering belief in Doctor Death’s tales of derring-do, WADA killed the fight against doping. Very quickly, the chance to educate about and reduce doping in sports was lost as geopolitics and greed took over the proceedings. 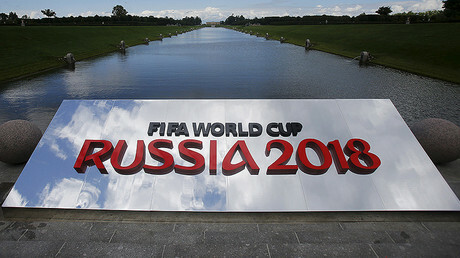 The removal of sporting events from Russia was aimed at the big fish – the 2018 FIFA World Cup, though in continuing to use corrupt information and intentions, it is unraveling. Of 31 biathletes named in the McLaren Report, two (Yana Romanova and Olga Vilukhina) were provisionally suspended due to their urine sample bottles being found with scratch marks, but neither were banned for taking Performance Enhancing Drugs (PEDs). Seven others are having their cases investigated further while 22 were free to race due to “lack of evidence” in the McLaren Report to suspend them. 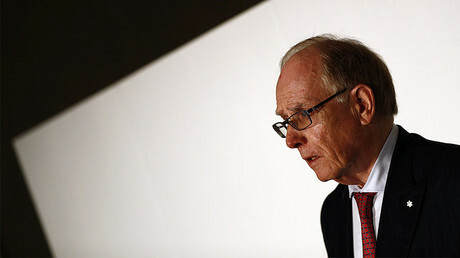 The International Biathlon Union (IBU) appears to question the evidence from the McLaren Reports. They are not alone, and the latest Fancy Bears release, which was an exclusive to RT, calls into question just how reliable McLaren’s work was. 56 questions were asked of McLaren by the International Olympic Committee (IOC) related to 16 Russians Rodchenkov alleges to have been involved in corrupting Russian anti-doping processes. To promote Fogel’s documentary, the New York Times paid handsomely for Rodchenkov’s story and despite using every means possible to glorify Doctor Death there are now serious questions being asked of WADA. Or there should be. When genuine whistleblower Renee Anne Shirley, who sacrificed her own career for the sake of athlete health and clean sport, retweeted the RT story, she had four retweets, four likes and one reply. The reply condemned her for daring to find the article interesting. @RAnneShirley@Mo4chNews Come on Renee. retweeting Russia Today?! There were typing errors, nothing gross. The anonymous egg had returned after a three-year hiatus to comment on Sochi, only to become very active on Trump and Russian doping. Interest in the story has been muted, to say the least, and for good reason. Atop the Greasy Pole of the International Athletics Federation (IAAF), Seb Coe is under fire with his chief of staff, Nick Davies, fired from his position after accepting €30,000 from former IAAF President Lamine Diack to “spin” the Russian doping scandal in favor of the IAAF. Diack admitted accepting bribes to cover up Russian athletes' failed dope tests and was the mentor to Seb Coe. 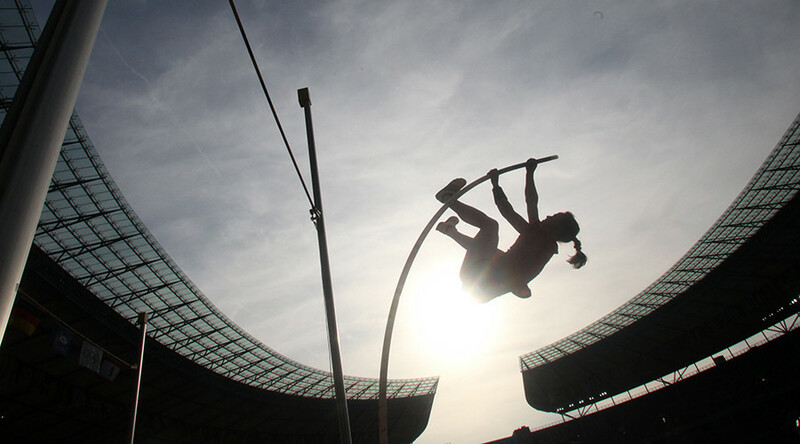 Owen Gibson of The Guardian newspaper questioned Coe, the man clinging to the highest point of the athletics Greasy Pole, back in November 2015, yet the former athlete, Conservative MP and Nike ambassador, remains in place. Climbing the Greasy Pole of sports politics means getting a boost from the lowest echelons and their votes or support. Favors promised are repaid, and unless there is a need, keep your eyes closed all the way to the top. And once there, obey two basic rules of government: never look into anything you don't have to, and never set up an inquiry unless you know in advance what its findings will be. WADA and the other assorted acronyms that are supposed to govern sports and protect the rights and health of athletes broke both rules. Operating on seriously flawed information from a seriously flawed individual, a seriously flawed organization made a grievous error. It pretended to believe what it was saying. In playing geopolitics and singling out Russia for sole attention, WADA left itself open to complete annihilation, yet it and those in charge will remain. Or at worst, move to other highly paid positions in governance. Slithering up the Greasy Pole necessitates removal of self-awareness and sense of shame. Neither trait serves well when talking out both sides of one’s mouth. As Qatar continues to spin towards 2022 unmolested, Russia is in an existential fight for its athletes to compete in the Olympics and Paralympics. Russia faces calls for all international sporting events to be removed from its soil and future bids to be blocked. The fresh Fancy Bears revelations confirm the sheer arrogance of those atop the Greasy Pole. No evidence is needed to support claims. No answers need be given. If enough mud is thrown, some will stick, and that is a means to an end. Investigations are established with results already known, in time-honored political fashion, even when those results are grievously flawed. Yet once this latest ripple passes, the top of the Sports Greasy Pole goes on and Russia will remain the global whipping boy.